Are your kids starting school soon? What if I told you there was a way you could help out their classroom, teacher, and school before they even head back to class? You can! There is a simple way that you can start raising money for your school to use on supplies and equipment, and it probably won't cost anything more than what you are already spending on groceries! It's no secret that schools today are severely underfunded. Better funding can make a world of difference in YOUR child's education. 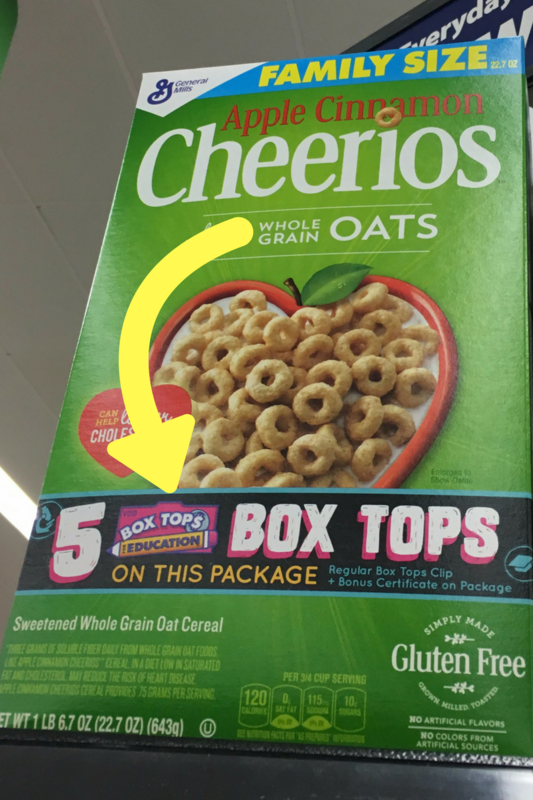 Box Tops for Education are little labels on select food items. Schools can redeem them for cash to spend on any additional needs the school may have. Think computers, playground equipment, or even just pencils and paper! Right now at Walmart select packages of General Mills products have a special 5-for-1 offer which means you get your normal box top, plus 4 extra!! You can click HERE for the full list of participating products! 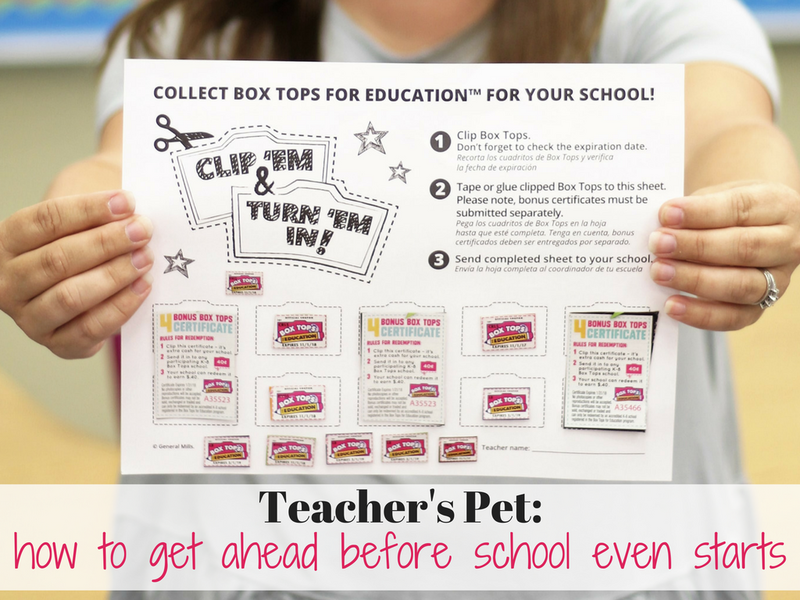 At our school we encourage families to collect their box tops and then fill in collection sheets that you can find at boxtops4education.com. The class that brings in the most box tops each month gets an ice cream party, but the REAL winner, is the whole school. We're able to purchase supplies, technology, and materials that we wouldn't otherwise be able to purchase. Every box top is worth 10 cents! It's super simple to participate! Simply purchase special boxes of General Mills products at Walmart that are marked with the 5-for-1 deal. Carefully clip out each one. Make sure you get the extra 4 on the back! Glue them onto the collection sheet, or even just collect them in a baggie. On the first day of school, hand in your collection to your child's teacher. I guarantee he or she will be thrilled! 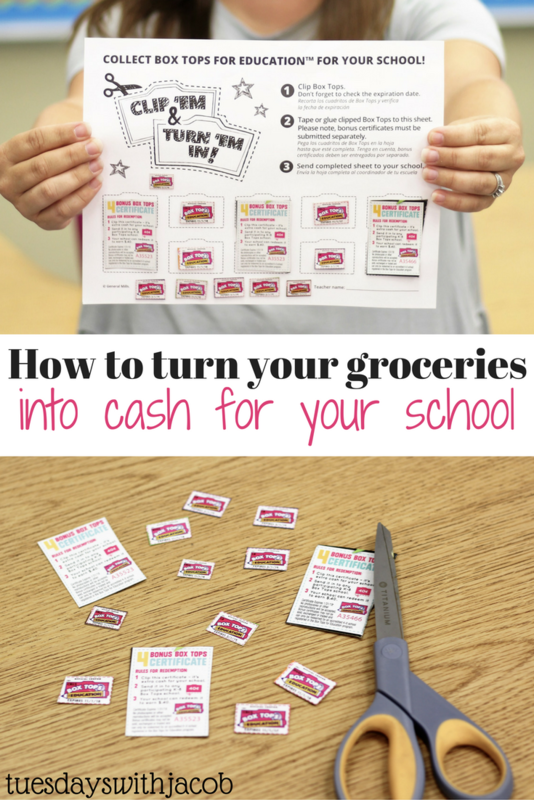 If your school already has a Box Tops program, your donation will be a welcome addition. If your school doesn't, you may just inspire them to start one! When the money is going directly to our schools to be spent as they best see fit to fill in funding gaps, EVERYONE wins!! 211 comments on "Teacher's Pet: How to get ahead before school even starts!" OH I need to be better about collecting these box tops. Thanks for the tips! Yes I am all over the box top beat this year!! Now I know what box tops are! Thank you for sharing! I never knew what these were for! Thanks for sharing! Columbia University, for example, has one of the largest training essay website colleges for teacher education in America. Many professionals do not have the time to take an English course at a college, university, or other type of school. waiting for your next update to come as I like all your posts. Awesome post. I really like your post. Such a useful information you shared..I like to share your post. Positive site, where did u come up with the information on this posting?I have read a few of the articles on your website now, and I really like your style. fresh scent Thanks a million and please keep up the effective work. If you need More Forum posting sites Then please Add my Link in it . Sydney offers foodies an enormous assortment of decision and the chance to eat on pretty much any sort of cooking from each landmass. While picking an eatery in Sydney it is essential to choose which area will suit you, regardless of whether you incline toward a diner in the CBD (Central Business District) or are more inclined toward suburbia. Sydney's CBD is home to an immense choice of feasting alternatives, from waterside bars to wine bars, gourmet eateries and nourishment markets. this is a nice post.it is realy useful for us. Parents are willing to give all they have in order to see their children through school. UNIVERSITY IN KENYA Some people travel to foreign countries in order to acquire quality educational training. Couldn't resist to post a comment. Thanks for sharing great stuff, keep the good work going.